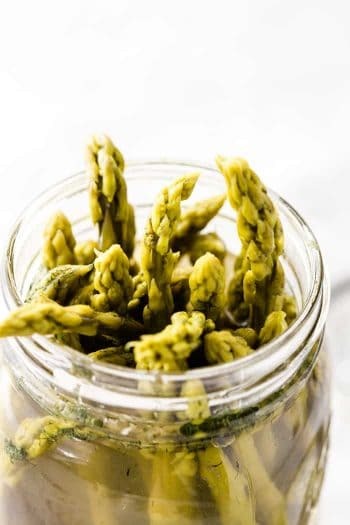 Easy Roasted Asparagus is the perfect side dish to accompany any meal from perfect pork tenderloin to a delicious meatloaf recipe. Tender asparagus spears caramelize beautifully while roasting them adds another layer of flavor. 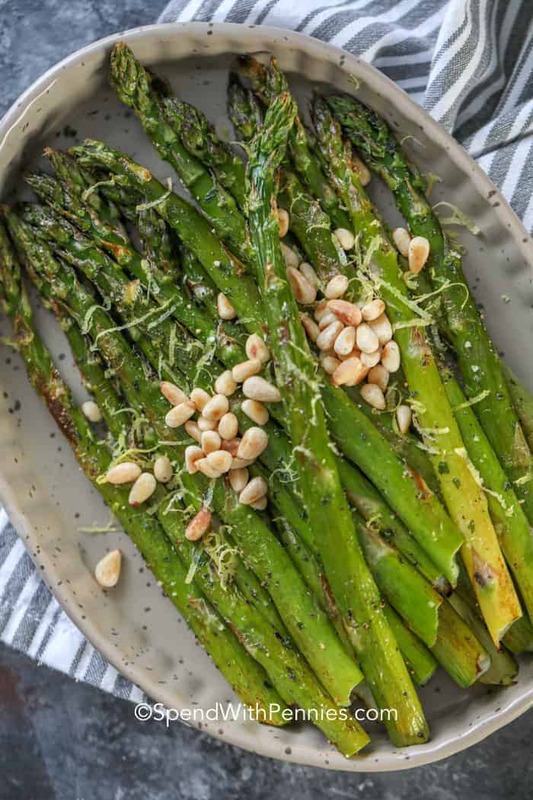 Oven roasted asparagus both looks and tastes elegant yet it’s easy to make and can be prepped well ahead of time. 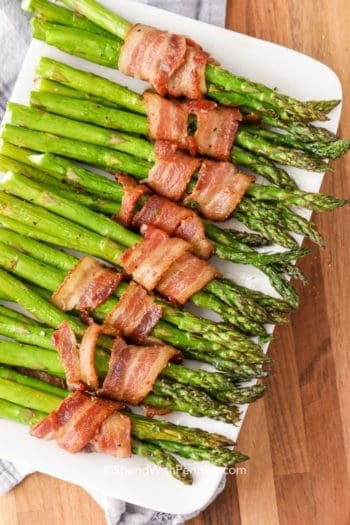 We love bacon wrapped asparagus for holidays or Sunday dinner along with honey baked ham but this easy oven roasted asparagus recipe is one that you’ll find on my dinner table all year ’round! 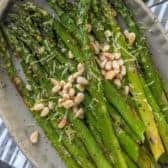 It is is so simple to prepare and needs just a couple of ingredients and the simplicity really allows the flavor of the asparagus to shine. To Prep Asparagus I like to use as much of the edible stalk as possible. They do have a woody end and if you grab each end of the asparagus and bend, it will snap where the woody part ends leaving you with a tender asparagus tip. Just like grilled asparagus, very little prep work is involved in making this easy side dish. Rinse and dry asparagus (water will steam the asparagus instead of roast it). Break off woody ends. 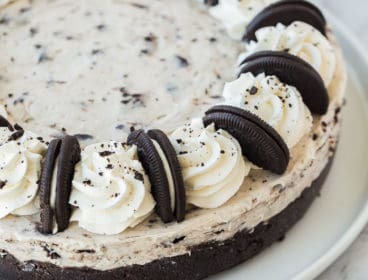 Preheat oven to a high temperature. 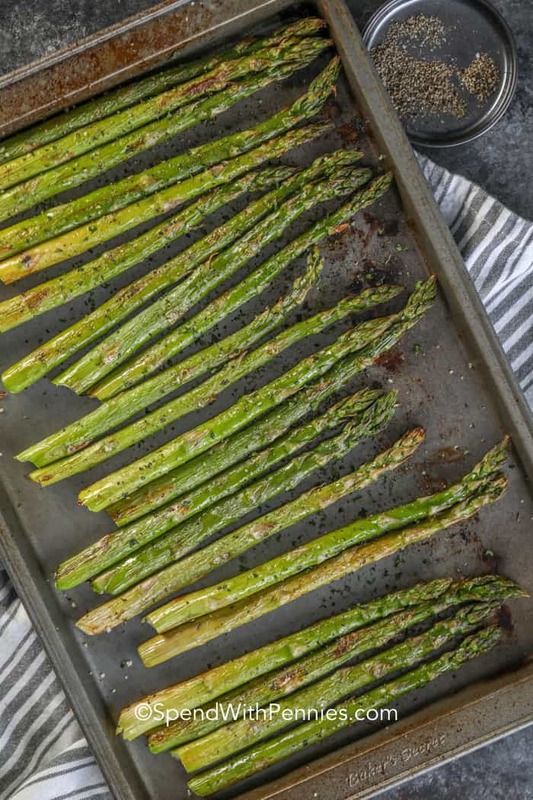 Place dry asparagus stalks in a single layer on pan. Drizzle with olive oil, salt & pepper. Give the pan a little shake to coat the asparagus. Sprinkle with parmesan cheese. Roast just until tender, about 10 minutes. 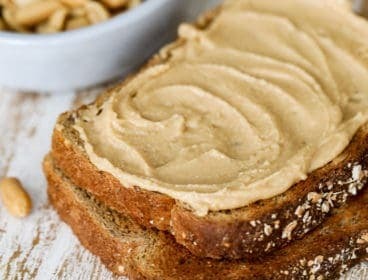 Remove, sprinkle with your favorite toppings and serve. 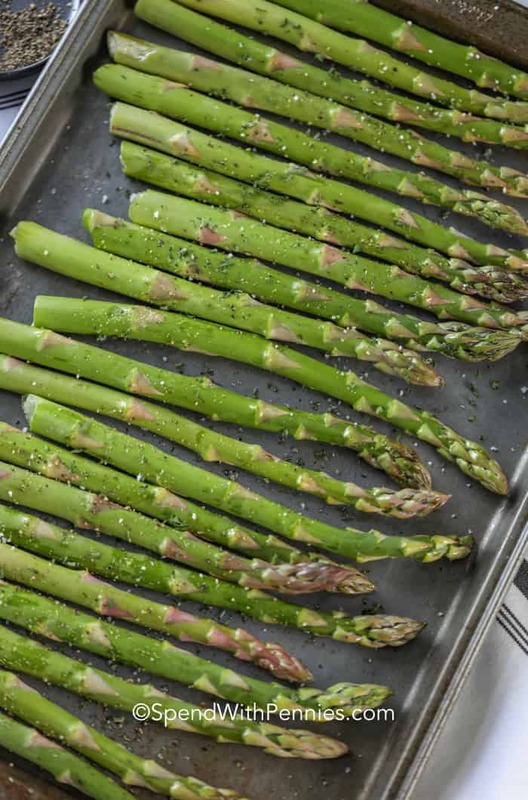 When you make roasted asparagus — or Roasted Broccoli (or any roasted vegetable for that matter) — do so in a hot oven of between 400 to 450 degrees. 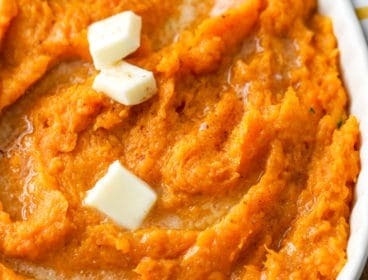 Remember, the whole point of roasting is to sear the outside to seal in the juices and that’s what a hot oven will accomplish with high-moisture veggies. Asparagus spears are pretty delicate, so they’ll roast quickly in a hot oven. They can range from thin spears (the diameter of a pencil) to thick spears (the diameter of a small carrot) so the time can vary. I always try to purchase thicker spears for roasting so they don’t over cook. In general, expect them to take 8-12 minutes to roast in a 425 degree oven. If they’re super thin, I sometimes crank the oven up to 450°F and cook only 5-7 minutes. 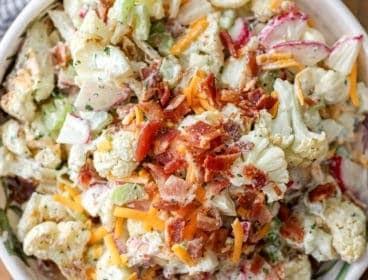 Roasted Cabbage Steaks Recipe – So much flavor! Parmesan Roasted Broccoli – Family favorite! Roasted Green Beans – Top with cheeses. 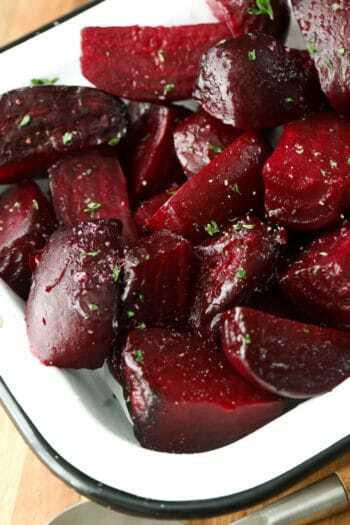 Easy Roasted Beets – Serve hot or cold (great for salads). Roasted Carrots – Perfect to serve with ham. 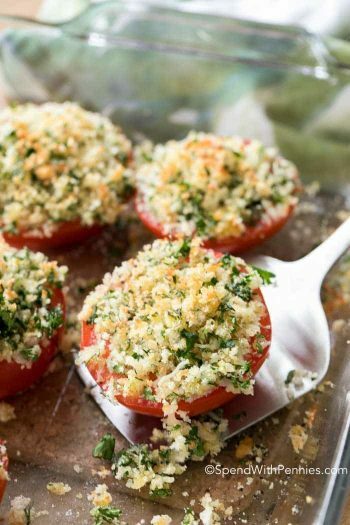 Roasted Tomatoes – Summertime favorite! 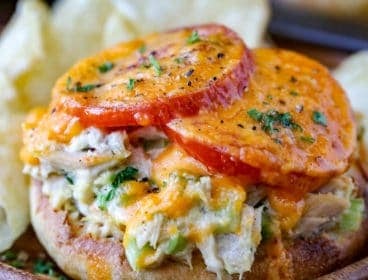 Oven Baked Chicken Breasts – The perfect baked chicken breast recipe. 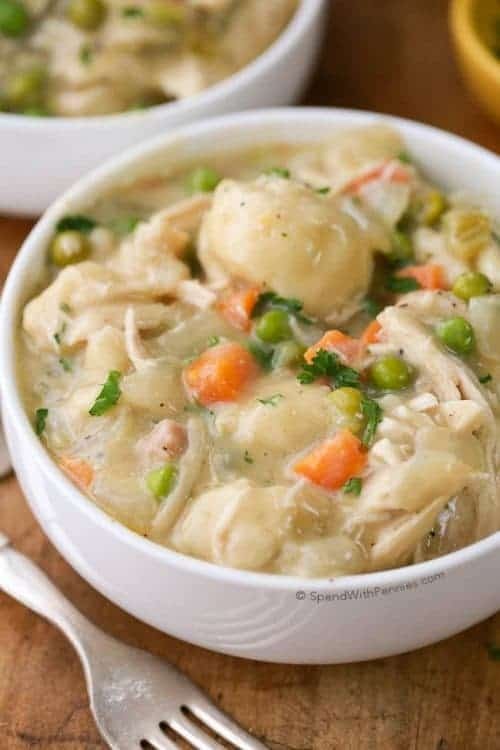 Lemon Roast Chicken – Tender and juicy! Herb Crusted Baked Salmon – Reader favorite! 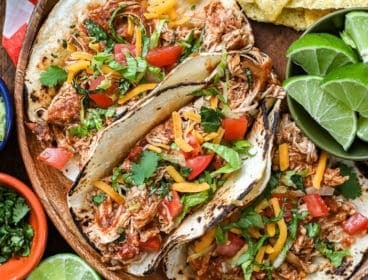 Baked Chicken Thighs – Perfectly crispy! Tender roasted asparagus spears caramelized in the oven. 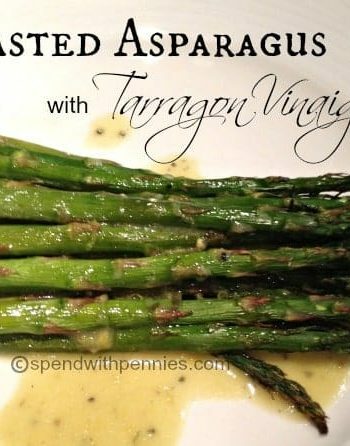 Wash asparagus and snap off woody stems. 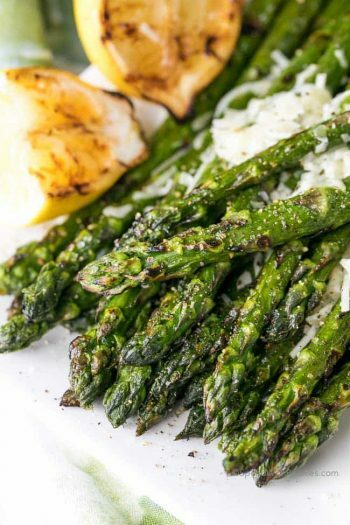 Place asparagus on a pan and toss with olive oil, garlic and salt & pepper. Roast 8-10 minutes or just until tender crisp.